This is Daryl standing by his 1955 Chevy. Daryl used to race this beautiful hot car, but he has since calmed it down a little so that now he can take it for a lovely drive on normal streets. 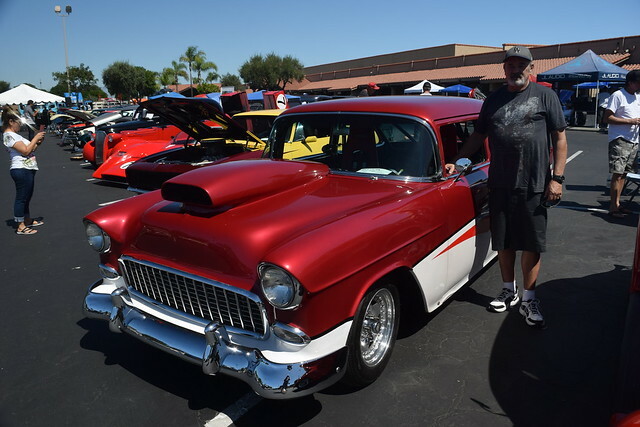 Learn about the 1955 Chevy and how it was "considered a huge turning point for the manufacturer and a major success" here. Did you ever ride in one?